Many observers believed Formula 1 was overdue for broadcast re-invention when Liberty Media took it over a couple of years back but Griiip, the start-up behind fledging motorsport series G1, aims to show that the apex of the sport has stalled on the grid. Initiatives of the new G1 Series, which begins in early April, include drivers competing in virtual simulator races for championship points; a complete low budget data-driven live streaming production; free online access to all footage collected from each race for creation; and sharing of user-generated content. “The problem with F1 and all motorsport is that coverage suffers from a lack of engagement and intimacy. Viewer’s don’t want dry data. They want the story and the juice. 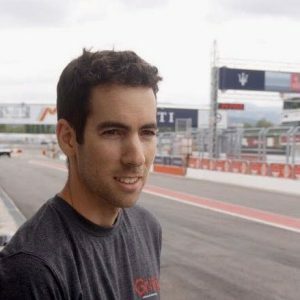 “We are creating the first smart connected race car to deliver enhanced content to fans and the first budget broadcast motorsport series,” says Gilad Agam, chief technology officer with Griiip (pictured below). 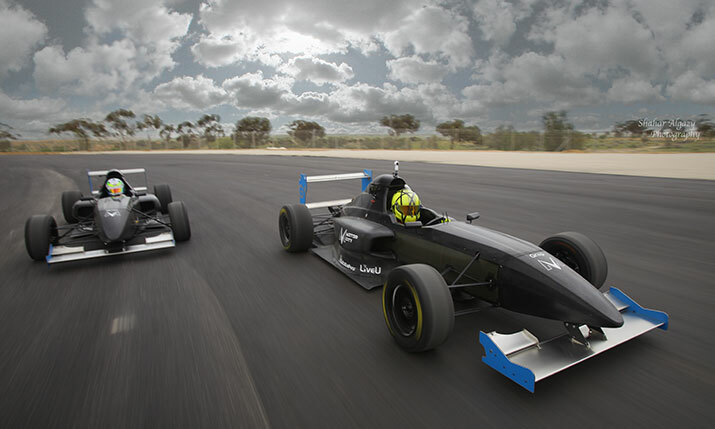 Griiip is an Israeli company, established in 2015 to design and manufacture race cars targeted at the entry-level racing market. The company’s G1 single-seater series, which is powered by an engine from Italian motorcycle company Aprilia, made its debut last July in the inaugural G1 Series. “G1 2018 was an internal pilot mainly for us to see if the concept was feasible and working,” says Agam. Fourteen drivers, some as young as 14, will compete in seven races from April to November on tracks in Italy, beginning in Cremona. While Formula-E has its drivers compete in an esports event at e-Prix and makes use of fan-powered social media to give drivers a speed boost during races, G1 has gone further and put virtual races on par with the track. Using simulations of some actual G1 race venues (such as Autodromo Riccardo Paletti near Varano in Parma which is also Griiip’s test circuit), drivers will compete head to head in simulator games. They will score points (half those scored for real-world races) toward the Championship. Race sims are already used at the top level of the sport as a training aid. Agam says Griiip has set up a dedicated server for the virtual G1 series for drivers to compete online. It doesn’t build the simulators or write the game software but it does set the rules and recommend drivers wear VR headgear to get the best experience (for checking the virtual car mirrors, for example). Griiip is also running a separate G1 virtual series that is open to the public. The plan is that the winner will be offered some way of transferring “into the real world and to participate in the G1 series,” Agam says. “The top virtual driver will get a taste of the real thing and maybe with enough backers also get to compete in G1. Griiip makes all the real cars so that drivers start with a level playing field. Cars can be bought for around €50-60k (or leased) and are operated by a small team with some drivers privately funded). They have a low life-cycle cost rather than the very expensive team of specialists required in other Formulas. Although drivers have some flexibility on tuning, tyre pressure, dampers and springs and geometry the idea is that the driver’s performance will shine through, rather than the money behind designing an engine or perfecting aerodynamics. “It’s the best thing for beginner drivers,” Agam believes. If they do well, G1 drivers can look to get additional sponsorship for the next season’s races. Each G1 car is equipped with 33 sensors, data from which is uploaded from the track to private cloud. What is unique, according to Agam, is the way in which Griiip is interpreting the data to form fresh editorial that informs the audience about the race. “We are trying to tell the story of the race to the average viewer so that they can experience motorsport like a pro,” he explains. There are no sensors on the drivers themselves, but this is planned for 2020. “It is surprising how much you can learn about a driver purely from car and geolocation data,” he continues. “In boxing, we don’t know the mind of the boxer but by observing them good commentators can help us with insight. Race cars have so many sensors that we can understand things like how aggressive a driver is, their virtuosity, their confidence or nervousness at different times in the race, or under pressure, and how that changes throughout a session or a season. For this season the algorithmic interpretations are being done manually and using pre-race data. Agam says Griiip had devised software allowing end-users to switch between driver feeds but decided to drop it. F1 has helicopters, so G1 has a drone. Where F1 has onboard cameras, G1 has fitted each of its cars with a GoPro and two microphones. A key partner is LiveU which is providing LU200 portable transmission units weighing 500 grams for each GoPro and a LU600 camera-operator unit for coverage of the event including pitlane. The system is essentially set up as a remote production allowing Griiip or other production teams to switch feeds and produce the live event from anywhere. “Broadcasting from another country to that of the race is a non-issue,” he says. Griiip plans to grant free access to its servers to any viewer post-race for generating their own content. That’s in stark contrast to Formula 1 where Liberty Media is facing a backlash for placing more and more of its content behind a paywall. “You can go to all the source footage and data after the race from any event and edit your own video,” Agam explains. It’s all part of the strategy to connect fans to the event. “UGC will be far richer as a result,” he says. SVG Europe also learns that Griiip has signed its first broadcast deal. It’s with an Israeli sports channel which will take live and VOD (Agam calls it “off live”) for its website, mobile and TV. The first races of 2019 will be live streamed to Facebook; later ones to the G1 series’ own website. The G1 Series has been set up outside the FIA and in competition to the Automobile Federation’s lowest rungs. 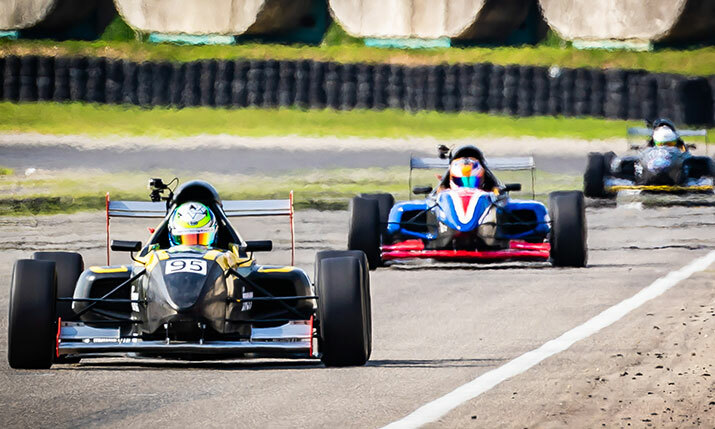 “The type of car we chose to develop adheres to the US standard F1000, a category which is not part of FIA,” says Agam. “If we take our car, which is 400kg in weight and delivers 200hp and try to match it to FIA rules we’d have to add 100kg and reduce the horsepower by 50hp. 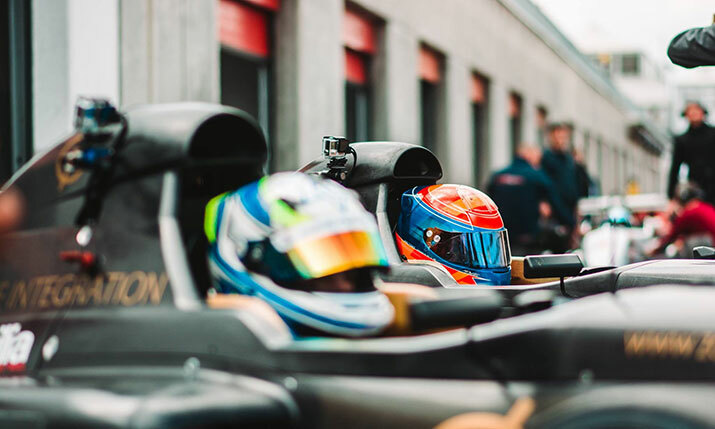 To put the G1 series in perspective, an aspiring driver currently pays between €20,000 and €40,000 per year in pro-carting and if they progress to Formula 4 (the traditional stepping stone to F3, F2 and F1) they need to find €200k- €650,000 per season. “Our advantage is that we can compete roughly in price with carting per season for an experience that is better than F4,” Agam says. “Our vision is to be a very good alternative to the standard ladder of the FIA. G1 drivers for this season have either come from carting or F3 and F4 series “where they’ve not had the money to continue to participate,” he adds.